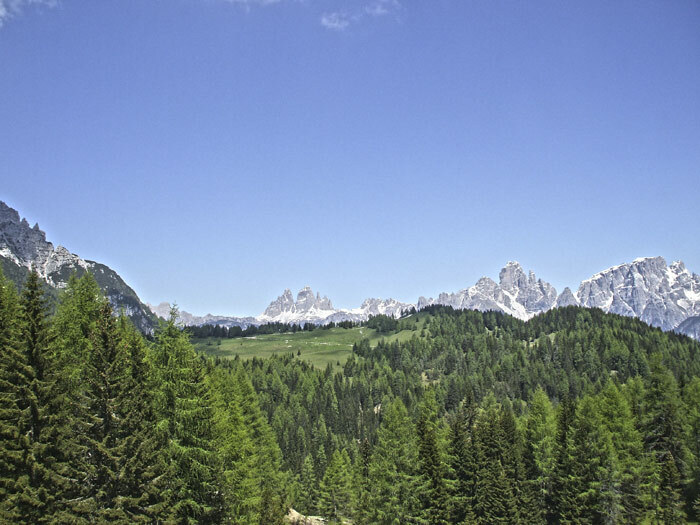 The Pian dei Buoi high plateau at the edge of the Eastern Marmarole mountains is of huge natural and landscape importance. You can get to it from Lozzo on the Strada del Genio (by car in summer too with on an alternating one way system). Tracks and footpaths start from Val da Rin and Monte Agudo. The high plateau is made up of extensive rolling meadows, hills and grassy valleys which are still used for pasture today. 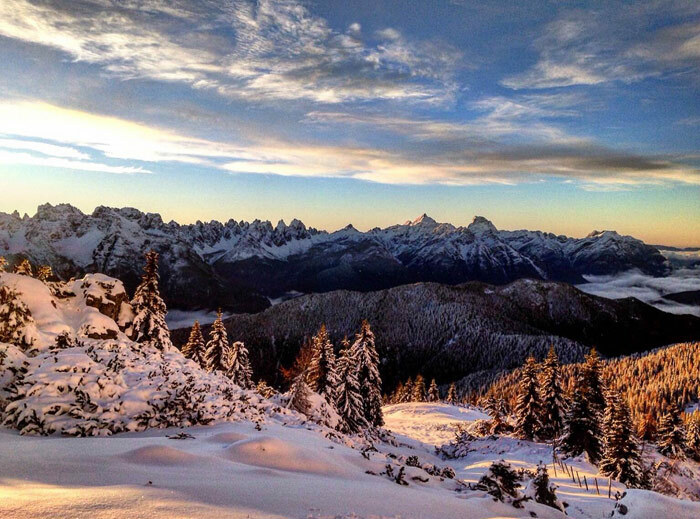 Walkers, cyclists, snowshoe enthusiasts and ski mountaineering fans enjoy unrivalled views from Pian di Buoi: the panorama takes in Tre Cime di Lavaredo, the Auronzo and Comelico Dolomites, the Carnic Alps, the Oltrepiave Dolomites, the Spalti di Toro massif, Mount Antelao and many other Dolomite peaks across the valleys beneath. There are also many traces of the First World War on the plateau, the most important of which are the Col Vidal forts and subsidiary fortifications playing an integral part in it such as trenches, caves, anti-aircraft defences, gun positions and bunkers. Rifugio Ciaréido was also built in preparation for war in 1890 and made into a mountain refuge in 1973 by the Lozzo Alpine Club (CAI). 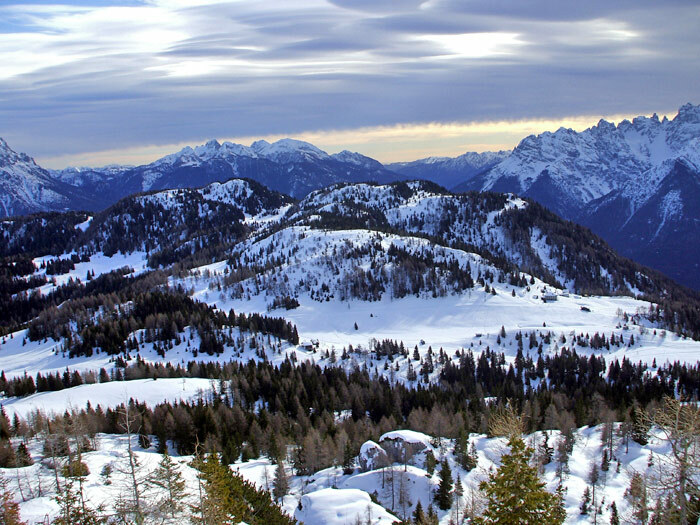 It dominates the Pian dei Buoi high plateau from high ground at the foot of Mount Ciarìdo and is the starting point for a great many footpaths in both summer and winter.